If you are serious about adopting a puppy fill out the questionnaire on this page and follow the instructions it includes. This will get you on our list for the next breeding which is next March of 2019. 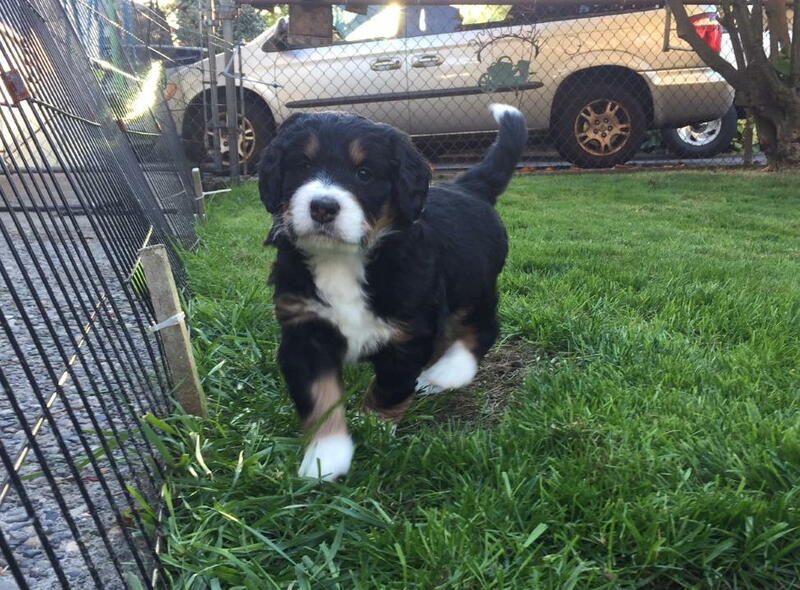 Bernedoodles are priced at $3,800 for tri-colored Bernedoodles, Brindles or Sabels, $2,800 for bi-colored Bernedoodles and $1,800 for Bernedoodles of mainly just one color and Bernese Mountain Dogs are $1,850. A $500 non-refundable deposit lines up potential owners to make their pick of a puppy at 6 weeks with the final payment due then. If choosing to pay through Pay Pal, 2.9% will be added to the price of the puppy. 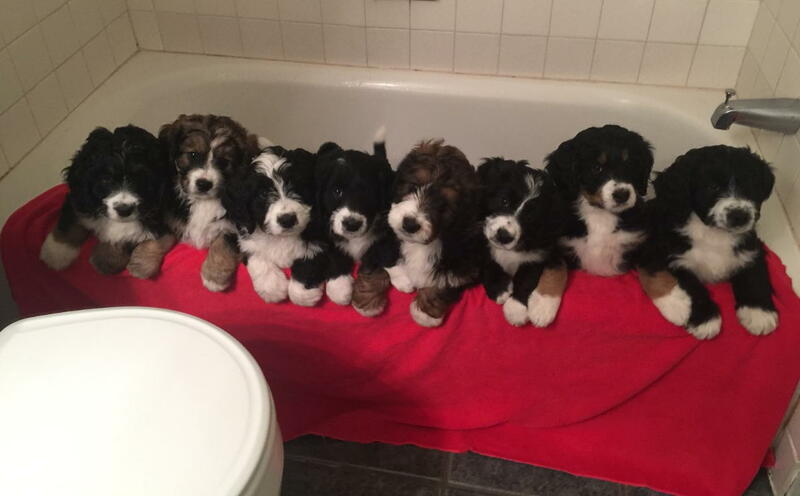 The puppies would not go to their new homes until they are 8 weeks. Once a deposit is placed, the buyer has the option of the current litter, or to wait for the next litter. 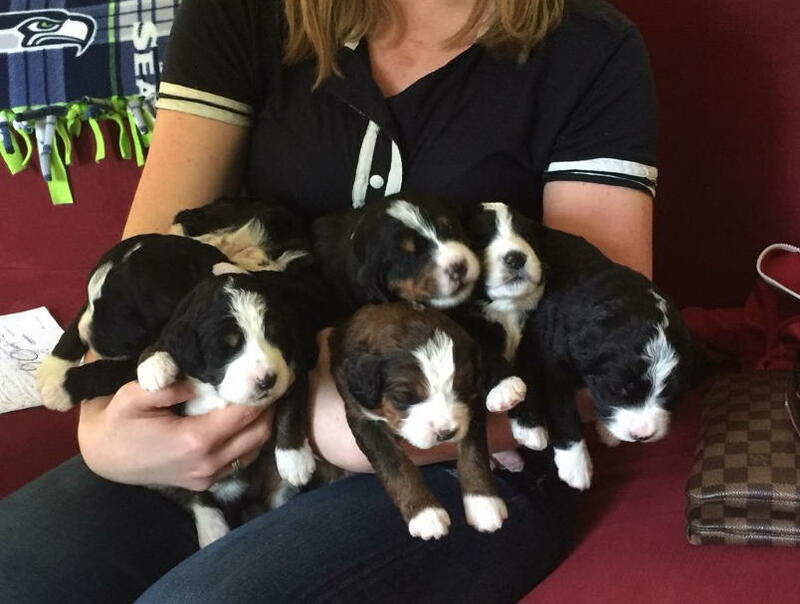 If there are enough puppies available and the buyer does not choose a puppy from either litter, their deposit is forfeited. In the event a breeding is not successful the buyers deposit may be refunded. A reasonable number of deposits for an expectant breeding will be maintained. If choosing the links provided, use the back button to return to this site. To fill out a questionnaire - pdf version or questionnaire - word version for owning a puppy, click on the link shown. You should also review the contract , that the questionnaire references. It is intended to protect both parties and is signed off on upon pick-up of the puppy. 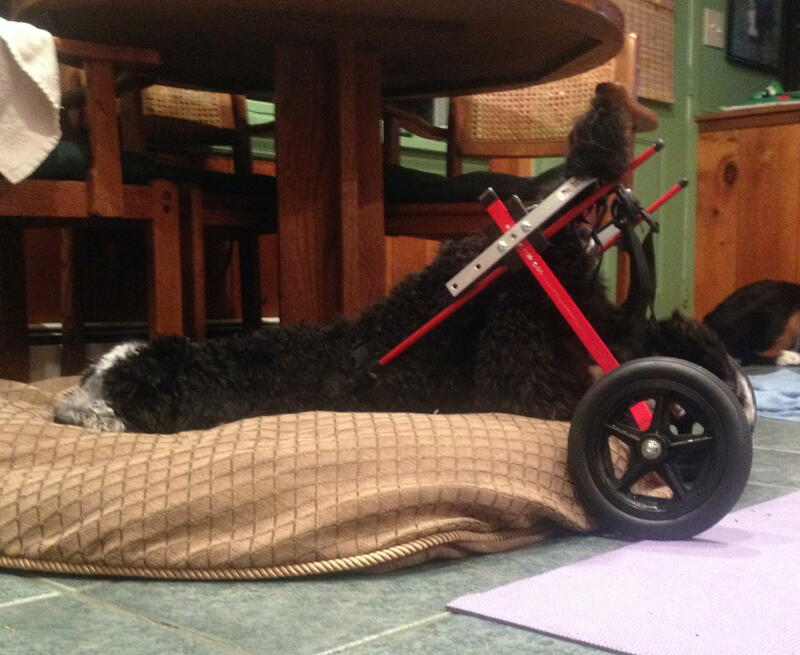 To view recommendations about owning a Bernedoodle choose the link provided. 7. Faye and Foster - Female - Tri - Potiental rollover for Tri. Refer back to this website for updates. 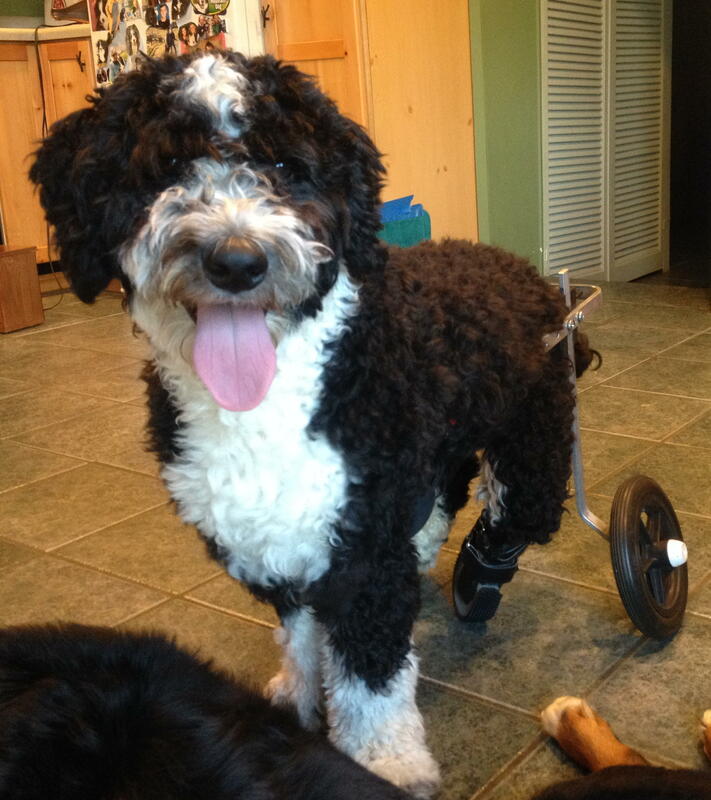 Cheeto - A Special Needs Bernedoodle.